Talib Kweli Announces European "Tour De Force"
Brooklyn emcee Talib Kweli has announced a European Tour De Force to finish off the year. The 20-date tour is set to run from the end of November in France, passing through Belgium, Ireland, the UK, Germany, Austria, Switzerland and wrapping up mid December in Amersterdam. For those in the states looking to catch him before the year is up, there are still a few dates left state-side including a DJ set in Houston (10/30), New Jersey (11/1) and the Brookly Bowl in New York (11/9). 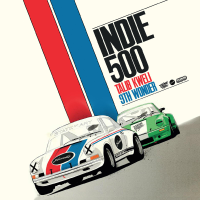 You can check out the video for Talib Kweli & 9th Wonder's Life Ahead of Me featuring Rapsody, off the Indie 500 LP from Jamla Records, Javotti Media & It's a Wonderful World below. Visit www.talibkweli.com for more.